A rising tide may lift all boats, but what does it do to marshlands? In this week's WEBISODE we showcase NSF funded marine scientist Dr. Nathaniel Weston's work on how marshes are affected by sea level rise. We also take you on a trip halfway around the world to learn what women in Vietnam are doing to remove salt water from their rice paddies. ON THE TOPIC: The San Francisco Bay is rising. Planet Forward member, KQED Quest, shows us how communities are planning. SPEAKING OF BAYS: This film from the Chesapeake Climate Action Network shows how global warming is affecting its namesake. MORE FROM NSF: Are you a science wonk? 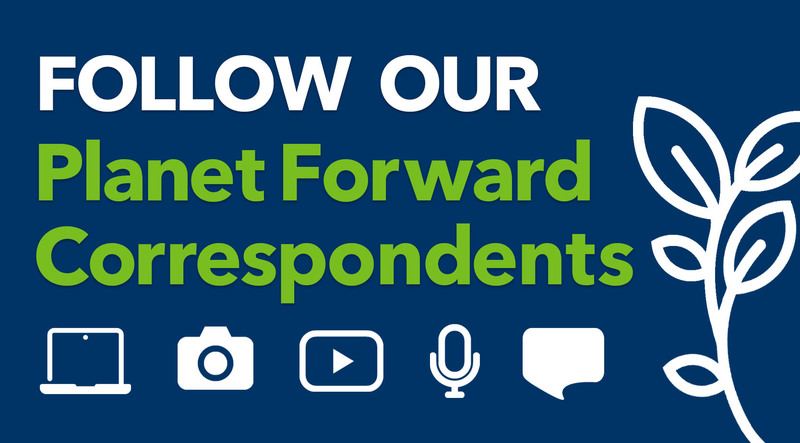 Check out Planet Forward's Science Corner where we feature National Science Foundation ideas. FROM OUR NEWSDESK: How will climate change affect your city? The National Resources Defense Council released a new report that has the answer. PLUS: Getta load of this vessel! The Lake Guardian and the EPA folks working on it are investigating the ecosystems of the Great Lakes. FULL DISCLOSURE - PF TEASE: Planet Forward's producer, Victoria Riess, just got back from Vietnam and Thailand. Stay tuned for adaptation strategies from rice farmers and a look into a floating house! AND: You know Harry Shearer? (Known for voicing many of the famed Simpsons characters) Well he made a film on how marshlands were the key to the Katrina devastation and Planet Forward host Frank Sesno, got a one-on-one! You don't want to miss it!